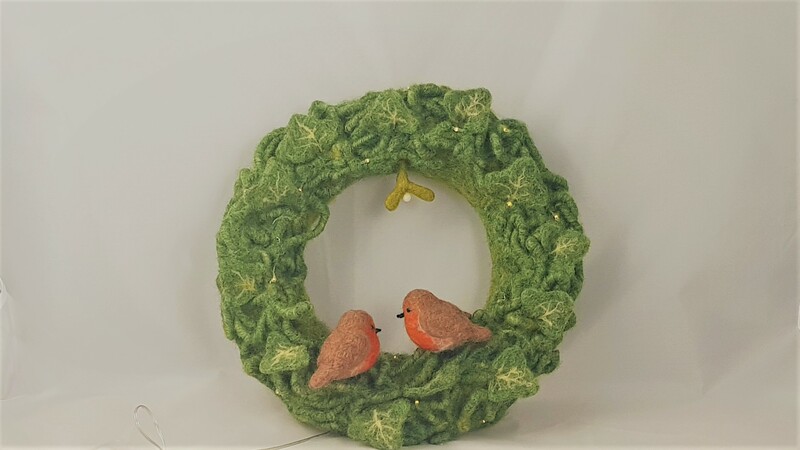 In this 2 day workshop you will make a 10 inch LED Needle Felted Robin Wreath to keep and take home to display. Over 2 days I will guide you step by step to create a beautiful Robin Wreath that is illuminated with battery operated led lights. The group is limited to a maximum 5 participants to maximise the exerience and create a friendly sociable atmosphere. Although the skill level of this workshop is intermediate it is achievable for beginners, but a little additional work may need to be undertaken in between session 1 and 2. I am happy to answer any questions you may have about this workshop and I can be contacted by my Facebook Page @littlefelteddreams where you can see the photographs and feedback from my previous workshops.